No Christian Pulisic set to join Chelsea in the 19.3 DB? You have Higuain in there, but they have made a deal with Dortmund to sign Pulisic pr. 01/07-19. Higuain was loaned, Pulisic was bought and loaned back to dortmund. Not a bad Winter update but I a few things I've noticed that I don't think are accurate. Wilshere had a 16 pass before the update and now it's gone down to 14... why ? He is a very good passer and think from what I've seen down the years it's too low. Van Dijk has the PPM "Brings ball out of defense", Matip does not. However, Matip does this more than Van Dijk. Emerson Palmieri ID:19158043 has in his achievements a title with Roma for the São Paulo First Division on 13/5/2012. 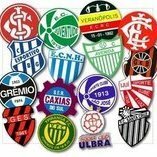 The right team should be Santos. This post started as a reply to someone in the Spurs thread who mentioned Heung Min-Son fails to deliver for him, to which I was trying to argue that he's slightly underrated compared to his IRL self. So I went on to compare him to someone like Liverpool's Sadio Mane, who I felt is around the same tier in terms of effectiveness, and I was shocked at how underrated Son is compared to him. The numbers below are for their current season in the Prem. For starters, Son has a pass completion of 85% over the course of this season(last one as well), with a decent output of 1.3 key passes per 90. Mane has a 77% pass completion with 1.1 key passes, yet the latter is rated 14/13/14/14 in passing/vision/decisions/anticipation vs Son's 12/12/13/13. Mane makes an average of 1.7 successful dribbles out of 3.2 attempted, for a 53% success rate. Son averages 2 successful dribbles per 90 out of an identical number of 3.2 attempts, for a 60% success rate. In FM Mane is rated 16/16/16/16/15 for dribbling/technique/flair/agility/balance while Son is rated 15/15/13/14/11. They both have a similar number of poor touches per 90, with 3 for Mane vs Son's 2.9, yet Mane's first touch is rated 16 while Son's is rated 12, with 16 vs 15 for technique. Only 13.6% of Mane's crosses this season have connected vs Son's 35%. Granted, we have Kane and Llorente so this muddies the waters a bit, but this is another area where Mane has a clear advantage in-game with 14/16/14/13 for crossing/technique/anticipation/vision vs Son's 13/15/13/12. In terms of finishing, Mane does have more goals this season with 14 vs 11, but if you consider the minutes played, it becomes one every 162 minutes played for Mane vs Son's 145. It needs to be said that Mane does manage this from fewer shots, 2.5 per 90 vs Son's 3.2, and with a better conversion rate even if you take out long shots - 27% vs 22.5%. This is not the whole story though, with Son converting 70% over his xG from close range vs Mane's 65%. All things considered, the players are rated fair-ish in this regard, with Mane having 15/16/14 for finishing/technique/composure vs Son's 16/15/13. Son does have an edge in Long Shots with 16 vs 12, but this is more than justified, having scored 4 times from outside the box this season alone, out of 26 attempted shots. Meanwhile, Mane not only failed to score from outside the box so far this season, but he only scored two such goals over the course of his entire career, so if anything it's Mane's 12 Long Shots that is overrated. There is one key aspect that's missing from my analysis: that Son is capable with both feet, so in-game he gets more "value" out of his lower technicals. At the same time, a player's technical attributes are not used in a vacuum, and I feel Son's both-footedness is more than made up by Mane's far superior speed, which will allow him to receive the ball in better positions or help him beat his man to make a pass or take a shot unpressured. Now, I'm inclined to think that Son is rated fairly and that Mane is the one who is overrated. It's clear to me that Son not in the same tier as Hazard, Salah, Sterling or Sane, but at the same time, the large gap in-game between him and Mane is clearly not justified. Command of Area was possibly Fabianski's biggest weakness with us. A lot of times he'd stay rooted to his line instead of coming out to sort pretty straightforward things out. Could never fault his ability to make important saves (especially late in games) but there was only one period during his first season where I felt he was dealing with his fair share of crosses (we had Javier Garcia as GK coach at the time, now of Arsenal). Now we have goalkeepers who are even more shy and one can't even make saves. Picked for their passing ability. Game's gone mad. However usually the Winter update should be based on how the new players have performed for West Ham and should be adjusted accordingly. I've seen every game this season and for us at least his command of area has been the best I have seen from our goalkeepers in a long time. Maybe our goalkeeper coach has improved him.. ex Liverpool gk coach. I have been meaning to post these changes I think need to be made to the Newcastle team for a while so I'd like to apologise in advance for the wall of text. Work rate of 1 seems odd. Most GKs in the Premier League seem to have a work rate of at least 10. Passing and vision could do with some minor boosts to reflect his distribution. His passing and vision stats seem too high (and too close to Dubravka's). Rafa was desperate to bring in a GK last January who could play out from the back because Darlow couldn't do it very well. Reduce CA. He is our 4th choice GK but his CA is 12 higher than Fredddie Woodman who is ahead of him. Rafa said that he was free to leave the club in the January transfer window. Passing rating of 9 seems too low. When he was playing regularly early in the season while Lejeune was injured he proved himself to be a decent ball playing centre back. Increase to around 12. Reduce passing to 9/10 as he misplaces simple passes quite regularly. He only speaks basic English in the game but he's definitely fluent. See this interview on BT Sport after the game against Burnley. Add the "Brings Ball Out Of Defence" trait as he regularly dribbles forward with the ball (as seen with his first goal against Cardiff). I would also add the "Gets Forward Whenever Possible" and "Shoots From Distance" traits. I'm not sure what "Plays No Through Balls" trait does in game but I don't think it really applies to Schar. Aggression seems too low at 12. I would increase this to somewhere in the region of 16-18. He has picked up 10 yellow cards already this season (from only 18 games so far). CB rating seems low. I would increase to 16/17. Reduce WBL rating from 14 as Rafa changes to a 4 at the back formation whenever he comes on. I would suggest some minor reductions to some of his attacking stats such as crossing and corners. Seems overrated in general. Reduce CA to around the region of 125-128. Passing rating of 12 seems too high. Reduce to 10. Reduce LB rating from 15. I can't remember the last time he played there. LB rating needs increasing to around 16/17. He's filled in there multiple times since we signed him as a backup to Dummett. I also seem to recall him playing there regularly during his loan spell at Marseille. His CA puts him as the 4th best CB in the squad. I'd say he is probably our best CB so an increase to a CA of around 140 (Lascelles' current CA) would be fair. Passing of 12 is way too low. Should be at least 14/15. I think his composure of 13 should be increased from 15/16. I don't think there's many better ball playing centre backs in the league. He has a rating of 16 for DM and 12 for CM. He hasn't played either of those positions since he joined and I don't think either position would suit him in the PL. Remove both positions ompletely or remove CM and reduce DM rating to around 10. 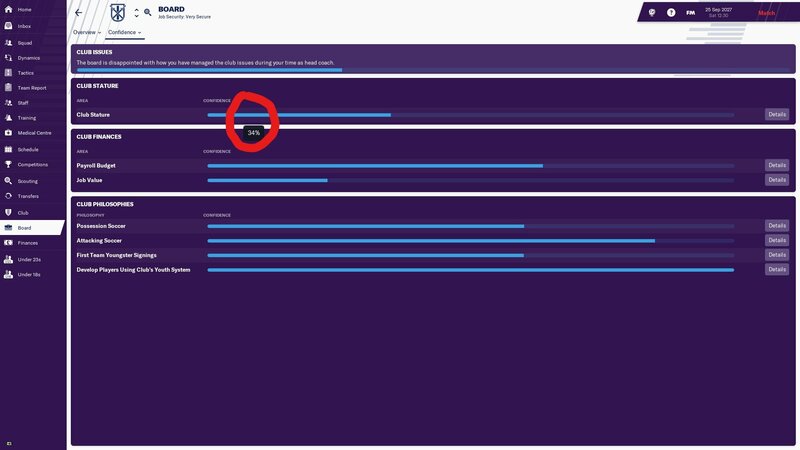 Remove "Gets Forward Whenever Possible" trait as he doesn't really do that like Schar does on the other side of the defence. Add "Likes To Switch Ball To Other Flank" trait because he regularly hits long passes from the land hand side of defence to the right wing. I've not checked his professionalism rating but I think it should be at least 18. He's desperate to leave the club to move back down South to his family but the performances hes put in over the past few months have been superb. In game he speaks fluent English but its been reported this season that he can't speak it. I would reduce to basic English (probably 2/3). Link to article here. I would remove his ability to play at WBR and DR as I don't think he's ever played in either of those positions. Increase DM rating to 15 and reduce AMC rating to around 12 as he's much more of a deep lying playmaker than an attacking midfielder. He's always played as one of the 2 in a 4-2-3-1 since he joined us and I can't remember him ever playing in a number 10 role. Has a fixed potential of 142. Should this not be a -8 since he hasn't really played enough for the first team to judge? Based on how he played before his injury I think he needs increases to his composure and passing (around 15 for each) as he was regularly praised by fans and pundits for his calmness on the ball and range of passing. I think his AMC rating of 20 should be reduced to 17/18 and he should be given a DMC rating of 12-14 because hes played in a much deeper role in the first team. I know it is probably too early in his Newcastle career for us to make major changes to him but there's a few easy changes I think could be made based on what we've seen so far. Add "Runs With Ball Often" trait. This is pretty self explanatory. He's always running directly up the pitch whenever he gets the chance to. He has a rating of 20 for MC but I don't think he'll ever play that deep in the PL. I would recommend reducing this to 15/16. Increase AML rating to 17/18 as this is where he's been playing in our 5-4-1 formation since he joined. His crossing rating of 10 seems slightly too low. I know he's not got any assists for us yet but he's regularly delivered dangerous crosses since he joined. Increase to 12. Increase WBL rating to 16/17. 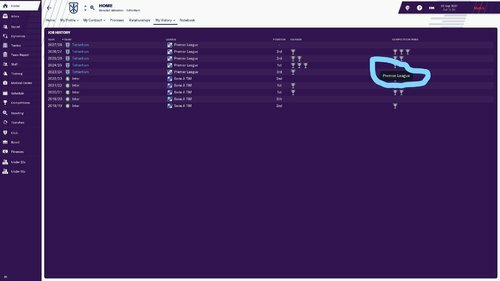 When FM20 comes out he will have almost played a full season there. He also recently stated that he thinks he's a better player at wing back and "loves playing there". Link to article here. His CA puts him as the 6th best player in the squad (13 points higher than Ayoze Perez and 5 higher than Salomon Rondon!) which is way too high. He's barely played all season and can't even make the bench most games. Increase his AMC rating to 15/16 as he was used regularly earlier in the season as a rotation/backup option for Ayoze. Reduce ML rating to 14 because I don't recall him ever playing that far back for us since he joined. Increase AMR rating to 16/17 as this is where he plays in our 5-4-1 formation. Maybe reduce ST rating to 15/16 as I don't think he's played there since his very first season with us. Only speaks basic English in-game but he speaks English fluently. See him speaking in an interview after the recent Huddersfield here. Also I agree with everything mentioned in Smallen's post here. I'm not sure why he got a decrease in CA by 8 in the winter update. 125 CA is ridiculously low considering how important he is to Rafa and our team. He has been used more than any other player in the 3 years since Rafa Benitez joined. 125 CA puts him on the same level as Henri Saivet who Rafa has repeatedly loaned out and only slightly better than Jacob Murphy, Christian Atsu and Joselu who are nowhere near as important to us as Ayoze is. He was our top goalscorer last season with 8 goals from the number 10 role. Finishing should be increased to 14 and composure decreased to 10/11 to reflect his instinctive finishing abilities. Pace and acceleration at 12 and 13 respectively are too low. Increase both to 14. Flair and dribbling should both be increased to 15. He often pulls a skill out of nowhere and keeps the ball when he's surrounded by defenders or flicks the ball in an awkward way to pass or shoot. Work Rate of 15 is too low because he's one of the hardest workers in the team. 17/18 would be much fairer. Teamwork should be much higher (at least 16) because he's vital to the way the team play and Rafa always trusts him to do what he's asked. Stamina and Natural Fitness could be upped by a point or 2 because he even though he puts in a lot of work during games he rarely has to be subbed or rested. Most of his goals are tap ins so 12 long shots is too high. 7/8 would be much more accurate. Strength could also do with a minor decrease because he can be pushed off the ball quite easily. His CA of 133 seems too low, especially when Yoshinori Muto has a CA of 138. I think his mental stats need some boosts. His work rate needs increasing quite a lot because he has a lot of running to do as a lone striker in our system (and when he was at West Brom). I think 16/17 would be fair. His teamwork is too low at 13. By comparison Mitrovic has 16 and Rafa didn't trust him to do what he asked (I'm a big fan of Mitrovic by the way so I'm not knocking him). I think it should be at least the same. I would increase his finishing to 15, heading to 17 and composure and off the ball to 14. I've noticed he has a dirtiness of 11 in the editor. This seems too high because I don't think he's a dirty player at all. Also his sportsmanship of 12 could do with a big increase. I recall a few months ago he kicked the ball out of play when he had the opportunity to shoot because he thought one of the defenders was unconscious (I think it was against Cardiff). Has a fixed PA of 132. Given his form for the u23s this season and the Denmark u21s I think he deserves a -8 PA. Its surely too early for him to have a fixed PA. I know this will probably be for the Blackpool researcher to decide but given his lack of game time for them since he joined I thought it was worth mentioning here. @SouthernNUFC that's a lengthy post, but you have to keep in mind that in its entirety its subjective opinion. One line statements about individual attributes really don't have any weight towards changing a researchers opinion. Basically you're just stating "I think X" and the stats are already set in the way of the researcher being in the position of "I think Y". - CA reduction as opening opinion - with a very vague reasoning. - Suggestion of an attribute decrease not really going to touch the sides for suggested new CA. - Suggestion of an attribute increase that will likely negate the previously mentioned decrease. - Irrelevant positional change suggestion, a lack of playing time there for one club does not guarantee a lack of ability to play in such a position. There's far too much there in that post in terms of raw volume for a researcher to be able to provide any meaningful feedback on, and even if they're so inclined there's so little detail that there's not enough for a researcher again to provide any meaningful feedback on. My suggestion is perhaps to hunker down and consider just a couple of players in far more detail, you keep making CA comparisons between different players (Rondon and Muto, Perez and Saivet) like it means something tangible when it doesn't. It's never a valid argument to increase one players CA because a different player has a CA of X. 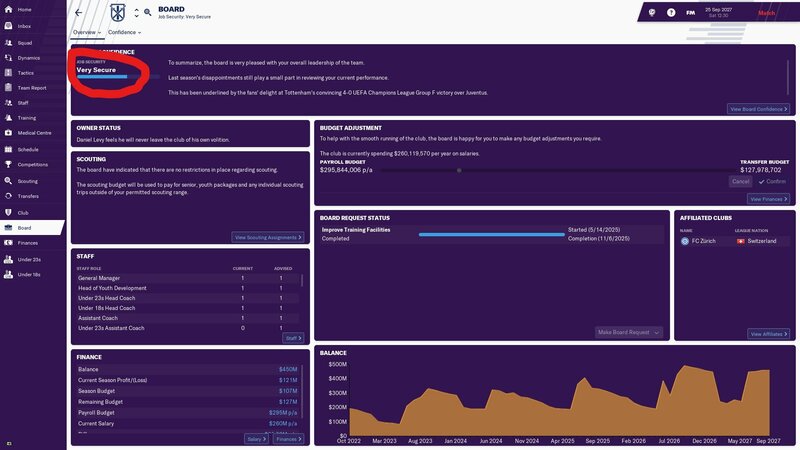 Players are judged in a vacuum, and when it comes to the case of there being someone in a similar mould to that player (not usually just another player at the same club who can play that position) there's different questions to ask - and they usually get asked long before the data goes live! Ultimately, your post is (while no doubt unintended) coming across more as though you've just put in an order at a restaurant and now you're expecting a researcher to go out there and make it all work for you. @santy001 To be fair I did acknowledge at the beginning of the post that it would be a lengthy one and apologised for it in advance. I do appreciate the feedback though so I will try to streamline it and remove some of the more subjective CA/PA and attribute specific parts. I'll also provide sources for my reasoning for suggested positional changes where necessary. Work Rate of 1 just seems a really odd stat compared to other keepers at the club and the league in general. Only speaks basic English in game but is clearly fluent. Link to an interview with him speaking English. Suggested traits to add: "Brings Ball Out Of Defence", "Shoots From Distance" and "Gets Forward Whenever Possible"
Suggested traits to remove: "Plays No Through Balls"
Reduce LB rating from 15. According to Transfermarkt he's played there twice since signing for us nearly 3 years ago. 15 seems too high. Link to Transfermarkt. Increase LB rating. According to Transfermarkt he's played there 42 times in his career (compared to 84 at RB). Link to Transfermarkt. 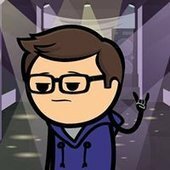 Remove ratings for DMC and MC. According to Transfermarkt he's played DM once in his whole career and never played in CM. Link to Transfermarkt. Suggested traits to add: "Likes To Switch Ball To Other Flank"
Suggested traits to remove: "Gets Forwards Whenever Possible"
Speaks fluent English in game but it has been reported that he's never learned to speak English because of laziness. Link to article. Reduce AMC rating and increase DMC rating. According to Transfermarkt he's played attacking midfield once since signing for us and that was back in the 15/16 season. Link to Transfermarkt. Increase AMC rating. According to Transfermarkt he's played in that role in 5 of his 13 games since he joined us. Link to Transfermarkt. Increase AML rating. He's played that position in every single game since he joined the club in January. Suggested traits to add: "Runs With Ball Often"
Increase AMR rating. He's played that position in pretty much every single game since we switched to the 5-4-1 formation we are currently using. Is it okay if I ask how you go about rating academy players? Is it mostly based on reputation, and what you hear from time to time? Or do you go and watch their games often? It's based on lots of inputs. I watch as many games as I can (either physically or online), but I also have contacts with close links to the club, listen to others who go and watch the games when I can't etc. Unless it's obvious (which is very rare) it is very difficult to predict what level a youngster will end up as. My main thing is to try and get the basics right, such as position, appearance, what their natural foot is, what their basic first touch and passing is like etc. But even that can be difficult as youth players are often shoehorned in to non natural positions. But as good as judge of potential as I think I have, you'll always get a Harry Kane (who was highly rated at the club but no one foresaw him becoming one of the best in the world) and you'll always get the highly rated young players who don't go on to make it. Thanks for taking the time do a compare. I'm relatively happy with Son's stats in terms of realism. He is the sort of player capable of the brilliant but also the ridiculous and he is very inconsistent (which is a malaise that affects a few Spurs players unfortunately). My biggest gripe with Son is his lack of bravery and he often has a poor first touch. His finishing with both feet is superb, but I feel his composure is fairly standard (similar to Robbie Keane, who used to score great goals but also fluffed one on ones more than he'd score them). As for Mane, each Researcher has to rate their players as they sit fit but also how they fit in as a first teamer in a top performing team (which Liverpool are). In isolation I agree that Mane is over rated in the game and I wouldn't set his stats, CA, PA as the same as the Liverpool researcher. My personal view is that Son is more a intelligent player and has better technique than Mane. But Mane is far more aggressive and mentally and physically superior to Son. @SouthernNUFC you should never have to apologise for making a lengthy post of your opinions of the data. Some researchers are far too precious and would apparently prefer there to be no discussion at all, such is the high barrier for entry they try to enforce here. 9 is a decent rating for Fede's passing accuracy. It's not a bad rating for a centre half (who largely play simpler passes than players further forward, even if many are long) and his range of passing was always limited with us. Lascelles should have a rating of 5-6 if he's misplacing simple passes regularly (under no pressure or other circumstances). The rating of 14-15 you recommend for Lejeune would make him as capable on the ball as a most Championship midfield playmakers. Is there anyone in charge of AFC Bournemouth? There are many inaccuracies in terms of the staff as some have been moved around and many are missing. I'm a fan of the club that has just picked up the game and I would love to speak to the AFC Bournemouth researcher if possible to help out with just these few things. you should never have to apologise for making a lengthy post of your opinions of the data. Some researchers are far too precious and would apparently prefer there to be no discussion at all, such is the high barrier for entry they try to enforce here. It would probably be better if we had some forum, or thread, more for the general discussion of data, or perhaps something through which people can ask more general questions than these threads which are more explicitly about moulding the data. General data discussions never really seem to take off though, only ever getting a passing mention. As for the matter of large posts, it was more coming back to the feedback side of things. Personally I read posts as though, were I the relevant researcher, I'd reply to them. If there's a large post with a lot vagueness that wouldn't make sense to action you can't really give the poster much in the way of tangible feedback. Giving people the tools to best provide input into the data process isn't a high barrier for entry. It's a case of making sure the arguments people have are as solid as possible. Sometimes its easy to do, but we're less than 6 weeks on from when we (researchers) gave our opinion on the states of our clubs and players. So it stands to reason that for something to considerably augment your thinking on a player would need a pretty good argument attached. Even more so for myself and yourself after this update, considering the hefty axe we've had to wield to player attributes I suspect its going to have prompted serious thinking about how best to reflect the players in the new reality of having gone from midtable premier league to midtable championship in just over a year. Most of my players actually got upgrades. We sold all the PL failures, so much of our midtable Championship side is still building up from the League One and PL2 attributes they had in the summer. My personal opinion is that no one needs a solid argument to challenge any (of my) ratings. As long as things are kept civil seeing someone else's opinion never hurts. We're still free to ignore suggestions and/or defend our work after all. I certainly agree with your overall rating of Son for the most part and it's only some very specific aspects I suggest changing. Just like you put it, he has excellent finishing, but his composure does fail him on occasion so I have no problem with his numbers for those, although it can be argued that based on his recent output his long shots could be +1. He rarely goes for challenges and even though he does put in the miles and track back opponents, he's often half-hearted in harrying them, not unlike Eriksen in this regard, sticking just to denying passing lanes. He also doesn't seem to be particularly fired up when the team is chasing a result with Poch often subbing him in these instances, so all in all this makes me fully agree with your ratings for aggression, bravery, determination and workrate. Sometimes he is trying to make one dribble too many, but it feels to me it's less out of selfishness and more due to poor decision-making, so his decisions and teamwork are also in good order. I also agree with your assessment that he's an intelligent player, which is evident not only in his superb movement, but also in the way he closes down, always looking to think one step ahead and preemptively move to where the opponent will play the ball. Yet rated at only 13, his anticipation is in fact lower than the PL average of 13.26 according to the in-game reports, so something like 15 for anticipation would be more fitting for a player of Son's mould. His passing accuracy is surprisingly high for an attacking player, so him being rated the same as teammate Lucas Moura(12) and much lower than Erik Lamela(16) is unjustified in my view, considering they play in the same system and have similar numbers of passes, long pass attempts or key passes. I suggest increasing his passing to 14, perhaps giving him a Plays Short Passes PPM, but either way, with his 12 vision and 13 decisions he's at no risk of becoming a playmaker. But where I feel his attributes fail the most in reflecting his real life ability is dribbling, not the dribbling attribute itself, but the overall combination of attributes relevant to the success of a dribble. Son's attributes affecting the action of dribbling are markedly lower than other players who I feel they're in the same tier as him. If it can be argued that Mane is somewhat on the upper bounds of Son's league in terms of overall effectiveness, I have picked for comparison 5 players who are playing for top 6 teams and who are either level with him or arguably on the lower bounds of his tier. 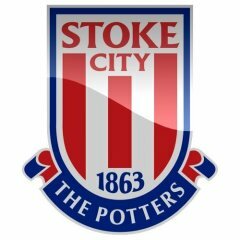 These players are, in no particular order: Pedro, Martial, Mahrez, Shaqiri, Iwobi. *Shaqiri's attributes may seem farcical at face value, but if you use 17/18 season numbers when he's played extensively at Stoke they become more reasonable with 1.2 successful dribbles per 90, 2 total per 90, for a 60% success rate. Now, their respective team's tactical style certainly plays a part, as well as players hitting a purple patch or a slump in form. For instance, this season Mahrez is making less than half his dribbles per 90 compared to his time at Leicester(success rate improved significantly, though). I also realize that numbers do not tell the whole story and watching a player in action is key for adding context a lot of the times. Sticking with Son as an example, watching him play you notice how he sometimes tries to beat his man or gain an edge from the first touch of the ball, which is more a more technically demanding, high risk - high reward move that explains some of his relatively high number of poor touches(2.8) as well as why they appear to have doubled over the course of his career(he averaged around 1.5 poor touches in his Bundesliga years, then going from 1.8 to 2.3 to 2.5 and now 2.8 over his fourth season in the ELP). The numbers of his teammate Erik Lamela are on the other hand much better, with 1.6 poor touches per 90, so you'd be tempted to think his first touch is that much better. Watching the latter play, though, it looks to me he's simply not as audacious when receiving the ball, often taking multiple touches to bring the ball under control before looking to play it. So where do I feel that Son's dribbling ability is underrated? The jury is still out on this one. The numbers do point that he is underrated, but I can't quite put my finger on what it is. I'm inclined to think it's acceleration, balance and flair, but don't quote me on this one. After much rummaging through stats, this is how I envision his profile. It would put him at CA of 161, which is reasonable for a 1st teamer of the 3rd placed(for now) PL team and CL quarter finalist, who's on his 3rd season hitting double digits in goals. Passing-triangle obsessive Sarri is set to 17 for directness in the database. If there are "many inaccuracies" then please post them here, with proof of the errors, and we can progress from there. Hi there, I have recently been appointed as researcher for AFC Bournemouth, any inaccuracies you spot please flag up and we can work to get them corrected asap. Hi @Rockywhu thanks for the feedback. Wilshere for me has declined over the years, sadly the injuries have not helped. I thought the few games he did play for us his passing was below par so lowered the rating accordingly. Perhaps he was not fully fit or a bit rusty. Hope to see more of his games (if he ever plays for us again) and will reassess his ratings. Fabianski is one of our top rated players, his command of area is suitable I feel and one on ones too. I increased his reflexes and other stats I thought relevant but the reality is I think we've only had 5 clean sheets this year (of course the defense have to take some blame too) so I didn't really feel that I could increase his stats too much. Whilst I do think he's been excellent this year and has been the best keeper we've had for a for a long while I'd still need to take a bit more time to look at him and then really look at the stats for the next update in the summer. I believe Marina Granovskaia having Abramovich as favourite "teammate" is probably a mistake. She has his trust, but possibly it could be as "friend" since she has contact with him back to the the days of Oil Company and other business (before he bought Chelsea). And I notice Abramovich doesn't have her on his favourite staff list, which I believe should be the case. Hard to argue that Mane is overrated with the form he's in lately. If you disregard penalty goals he's the (joint) top scorer in the league. Son having pace at 15 is so wrong. His top speed is ridiculous. Should be at 17 at least. He is taller, but damn is he fast. Taller players are often faster. Long legs, big stride. Short players can be deceptively slow. Illusion of pace caused by little legs moving quickly. Kyle Walker is sub-35 and has a Pace rating of 18 in game. Pace 15 is pretty quick but too many players seem to be rated as if a value less than 10 is horribly slow. Players all become compressed within a "safe" 11-14 range. I have moved to tottenham and have been here 5 years...i have won the league twice, champions league, done a treble but for some reason MY CLUB STATURE KEEPS REDUCING!!! i have never had this problem before....if you could please HELP!! Emerson (Chelsea) has been payed 20M Euro, not 10. Post that over in the All other Game play, If you can upload a save of that as well It'd help them a lot. This is more for data ammendment requests here. Otherwise, I can't help but notice 1 stand out - Club Stature is in decline and you only have Zurich as an Affiliate? 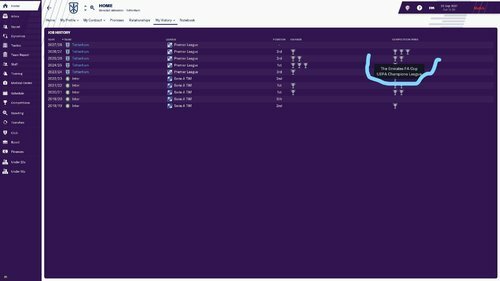 I manage spurs in game and ask repeatedly for - Stature (USA\Asia are my normal picks), then youth intake. I tend to make 2 requests per year for this one of each. Season 1 I get at least one, Season 2 I normally get both. Where are you pre-seasoning as well? On International years, I pre-season at home, the other years, I tour USA\Asian Countries. I run my saves for over a decade, club stature always increases. Most of the Tottenham Hotspur squad for the 2014-15 season have the Carabao Cup in their Achievements/Milestones. Mauricio Pochettino has it, but none of the players. They were runners-up against Chelsea on 1st March 2015. And a similar issue is apparent with the 2017-18 Chelsea squad. The players (and Conte) don't have the Community Shield in their milestones, despite finishing runners up against Arsenal on 6th August 2017. I was looking more closely at Newcastle's 2nd team today and noticed that Liam Gibson does not have Lewis Gibson (now at Everton) listed as brother. But Lewis has Liam listed as brother. I don't think Liam would tell his younger brother he isn't part of the family anymore, especially since he supported him throughout his illness. 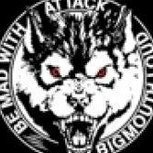 (if anyone reading these forums is interested I highly recommend reading his inspiring story). Can you guys fix this in the next update for me? It's my third season! I saved my progress in Cloud! 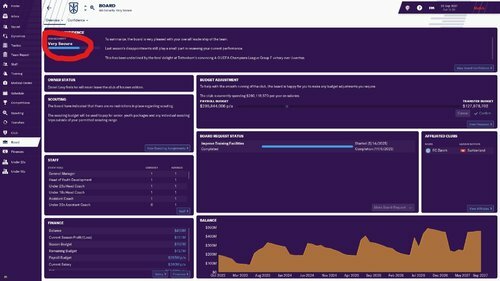 One day, I opened the game and it asks me to make a profile for a manager! Then I skipped it and it turns to a default manager face. I tried to load the game but it said that "The save game could not be loaded"
post this in bugs section, not in DATABASE ISSUES.